What Will It Take to Organize Labor to Fight Climate Change? To have any chance of passing on a livable climate to our children and grandchildren, we know that the supremacy of the private automobile must somehow come to an end. 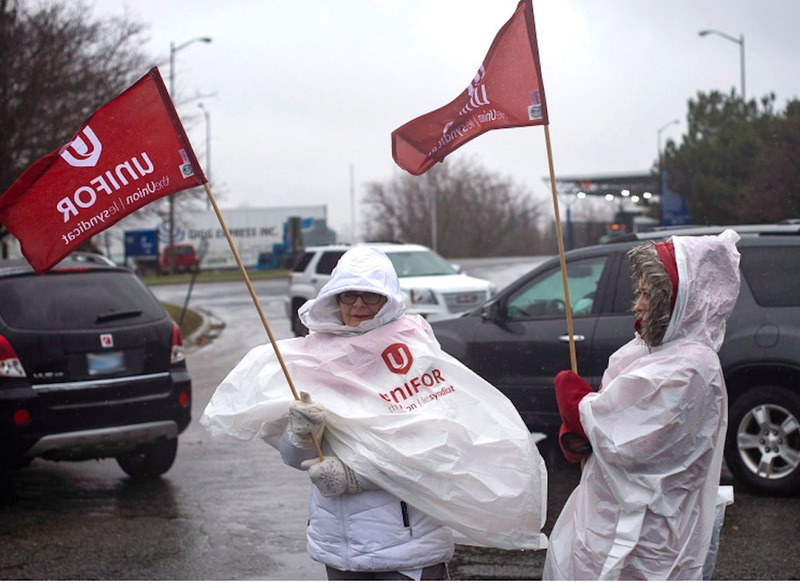 Autoworkers lose their jobs when auto companies close down plants. Joblessness and fear of a jobless future are already running rampant in many communities. Some workers think it makes more sense to take over the auto industry and transform it into part of the solution to climate change. Can closing and closed plants be retooled to build what we need to end the ecocidal production and consumption of fossil fuels? How can labor activists organize for a just transition and overcome resistance of our own unions to a Green New Deal worthy of the name? To engage with these and other pressing questions, System Change Not Climate Change invites you to join us in a conversation with Dianne Feeley, a retired autoworker active in Autoworker Caravan, a rank-and-file union caucus, and an editor of Against the Current, a bi-monthly analytical journal that focuses on debates within the Left. In addition to her decades-long experience in the Labor Movement, Dianne brings the perspective of an activist currently confronting Detroit, Michigan’s housing crisis through eviction defense. If you want to get a head start, Dianne has prepared the short list of readings and videos below. Dianne recommends several articles about converting the auto industry. In 2015, Lars Henriksson, a friend of Dianne's from Sweden, tackled this subject in Can Autoworkers Save the Climate?. Lars works in a Volvo car plant now owned by a Chinese corporation. On November 26, 2018, General Motors announced that the Oshawa Assembly plant in Ontario, Canada, once the largest auto complex in North America, will no longer exist. Sam Gindin, a former researcher for the Canadian Auto Workers, set forth an ambitious proposal for transforming the massive plant from brown to green in GM Oshawa: Making Hope Possible. "He offers a very comprehensive plan," comments Dianne, "but one that would presumably come from a government that had an industrial policy." A Toronto Star business reporter gave Gindin’s proposal a thumbs up and socialists are asking why not?